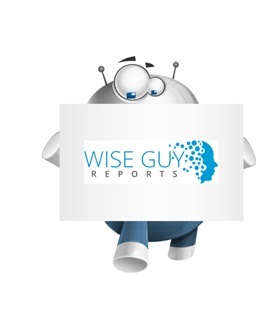 WiseGuyReports.Com Publish a New Market Research Report On –“ Oilfield Chemicals Market 2019 Global Share,Trend,Segmentation and Forecast to 2024”. North America is the world's largest oilfield chemicals consumption area. In Europe and North America, the main application of polyacrylamide is the water treatment industry. However, polyacrylamide in oilfield is less in foreign, because of the special geological conditions in China, Daqing Oilfield and Shengli Oilfield are still using extensive of polymer in flooding technology. China is one of the countries with the highest crude oil production costs in the world. Despite this, China has had to continue mining domestic crude oil due to the huge market demand. At present, the production capacity of polyacrylamide in China has exceeded 1.2 million tons. Most of the polyacrylamide is used in the oil field industry. The global oil field chemical industry is dominated by large corporations, and these corporations are becoming larger through acquisitions, allowing themselves to offer a wider range of oil field services such as exploration, drilling, design, and engineering. In the past few years, there have been five major acquisitions and mergers in this industry. Lower oil prices have a side effect to this industry. Big companies maintain good performance through acquisitions and mergers. In 2017, Dow, DuPont complete planned merger to form Dow DuPont. Baker Hughes, a GE company announced that the transaction combining GE’s oil and gas business with Baker Hughes is complete. In 2014, Lubrizol Corporation announced that it has completed the acquisition in the United States and Canada of Weatherford International's global oilfield chemicals business. In 2012, Ecolab announced its intention to acquire Permian MudService, Inc., the parent company of Champion Technologies, and integrate the business with its Energy Services division.The sale closed on April 10, 2013, at which time the businesses merged and announced its new Nalco Champion brand. In 2013, Solvay acquired Chemlogics. The worldwide market for Oilfield Chemicals is expected to grow at a CAGR of roughly 4.1% over the next five years, will reach 3550 million US$ in 2024, from 2790 million US$ in 2019, according to a new GIR (Global Info Research) study. This report focuses on the Oilfield Chemicals in global market, especially in North America, Europe and Asia-Pacific, South America, Middle East and Africa. This report categorizes the market based on manufacturers, regions, type and application. Chapter 1, to describe Oilfield Chemicals product scope, market overview, market opportunities, market driving force and market risks. Chapter 2, to profile the top manufacturers of Oilfield Chemicals, with price, sales, revenue and global market share of Oilfield Chemicals in 2017 and 2018. Chapter 3, the Oilfield Chemicals competitive situation, sales, revenue and global market share of top manufacturers are analyzed emphatically by landscape contrast. Chapter 4, the Oilfield Chemicals breakdown data are shown at the regional level, to show the sales, revenue and growth by regions, from 2014 to 2019.